Every Saturday night, my daughter Finley and I have a little tradition. 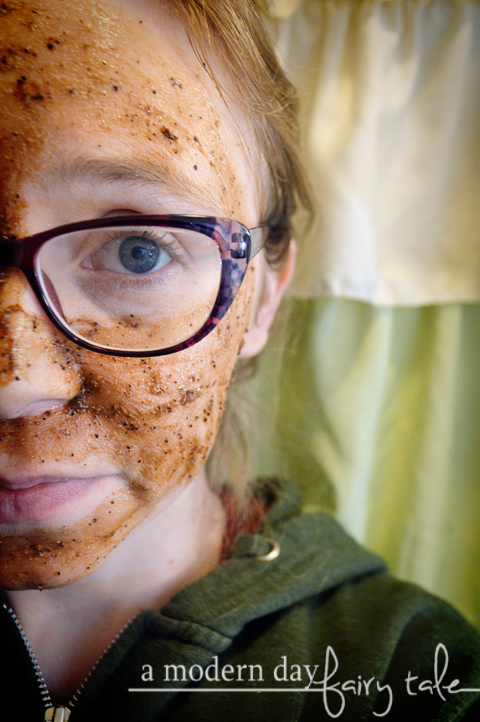 After we eat dinner and before our showers, we throw our hair up and put on a face mask. Hey, we might not be able to go to the spa every week, BUT at least we can get a little bit of pampering done at home. Not only has it served to be a really fun mother/daughter bonding time that we look forward to each weekend, but it leaves our skin looking and feeling its best--- ready to start the week at church the next morning. What could be better than that? REAL INGREDIENTS MAKE A DIFFERENCE. 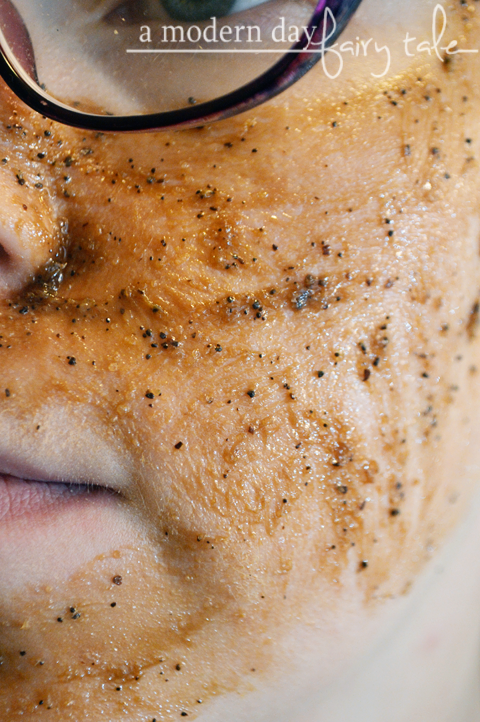 Masked Beauty products are special both for what is in them and what's not. They're formulated with high performance ingredients like Pure Kaolin, Sweet Almond Oil, Shea Butter, Ginkgo Biloba Extract, Beeswax, Caffeine, and Flower Extracts. They all sound amazing, don't they!? One day we hope to give them all a shot, but for now we tried out the Purifying Charcoal & Diamond and the Exfoliating Coffee & Chocolate. First up, I tried the Purifying Charcoal & Diamond. 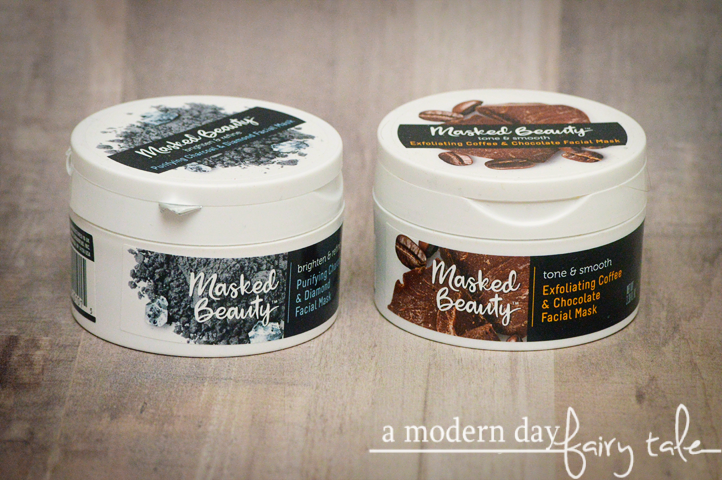 I've used activated charcoal masks in the past and was already fan, but these might be my favorite. It's mixed with other ingredients, so it doesn't have that stark black appearance that many others do--- which means it doesn't leave quite the mess all over my bathroom. It had a nice subtle scent and went on very smoothly. It also wiped away smoothly, which is a huge plus for me! Some seems to take more scrubbing, which I don't particularly care for. Most importantly, it left my skin feeling very smooth and refreshed after just one use. 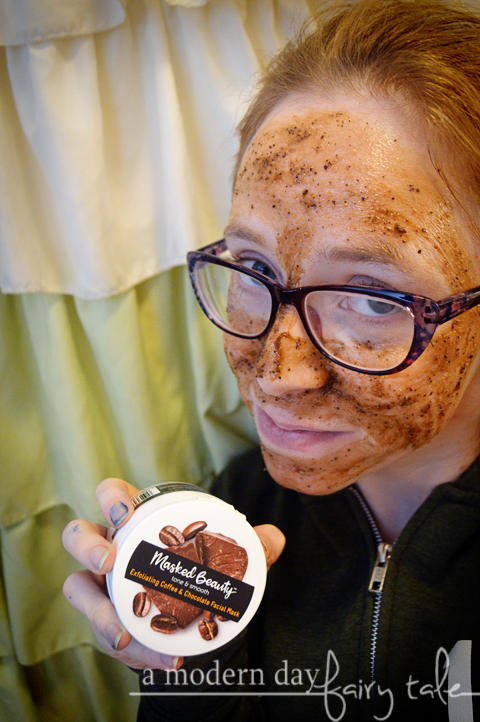 Next up, the Exfoliating Coffee & Chocolate. Let's just take a minute to think about that, shall we? Sounds heavenly! And let me tell you, it smells just as heavenly too. For me personally, this was my favorite. I have very dry skin so exfoliating is a MUST. I love that this mask gave me that too. Most of the masks that I've used in the past did tend to be those creamier masks like the charcoal, so I was a bit taken back initially by the thicker texture, but it really did prove to be just what my skin needed. Of course, we all know that skin can be rather tricky, so you can even use both at the same time-- targeting different areas of the face to get the best nourishment where your skin needs it most. Want to try them for yourself? Masked Beauty is available at the following retailers: Albertsons, Safeway, Jewel, Meijer, Hy-Vee, Marc’s, Weis and Kinney Drugs and retails for just $7.99, making it a great affordable skincare option!